This Spring I am doing the Sustainable Global Technologies (SGT) Studio at Aalto University, which is a cross-disciplinary course focusing on connecting sustainability and technology in developing context. 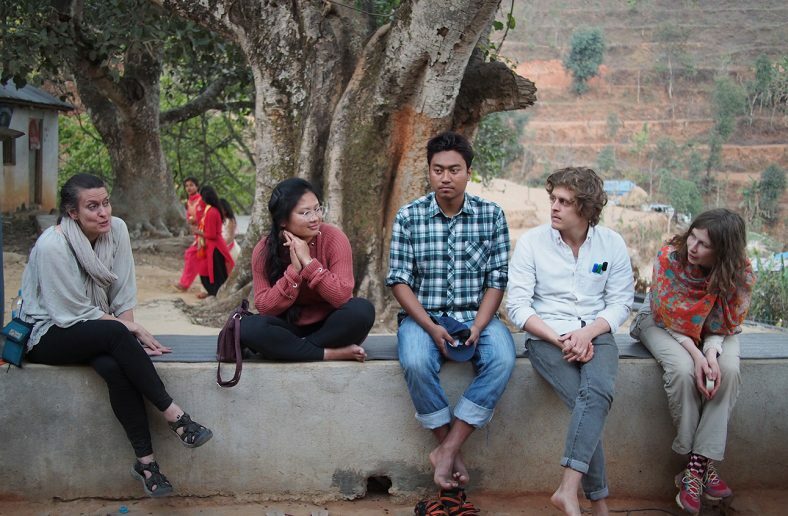 As part of our studio course my team did a two week field trip to Nepal now in March. The studio course started officially in January but I met my team members and our mentor already during last Autumn to learn to know each other and start applying and looking for grants and potential sponsors for our project. 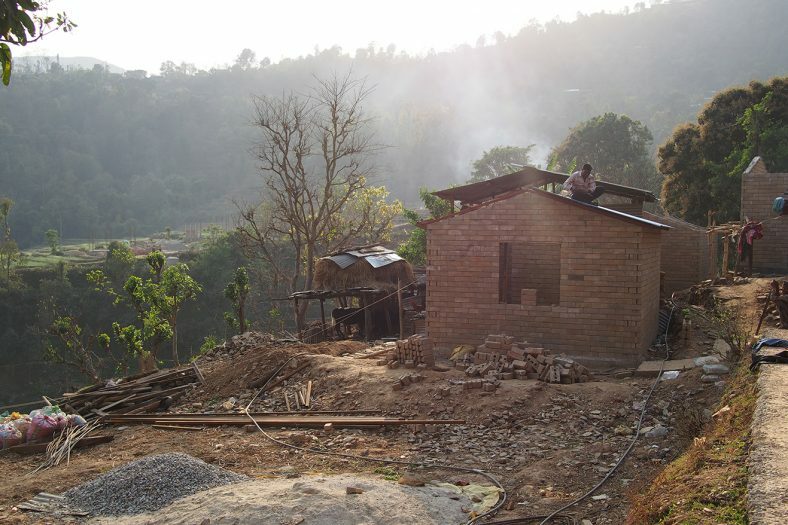 What is exciting and really interesting about the Nepal project is that we built it up from scratch. It is a pilot project, meaning that there is no earlier collaboration established in Nepal through the SGT course. We decided on our topics and partners ourselves and it has been really interesting to see how far 5 ambitious and motivated students can get (with a lot of help from others!) in 3 months. Our main topic is to look into reconstruction practices after the earthquake that hit Nepal in 2015 and made 1 million people fall below the poverty line. We are especially interested in knowing how successful reconstruction projects have been conducted and how the information related to reconstruction has been communicated to the beneficiaries and inside the organisations. In January we prepared for our field trip by creating a project document describing our objectives, stakeholders and beneficiaries, an initial timeline and background research on our topics and Nepal. We learned that a lot of the reconstruction after the earthquake has been delayed and as the political situation has been unstable, the government has not been able to provide as much assistance as expected. Many non-profit and non-governmental organisations have been working and are still working in Nepal to help to build up the communities again and make them more earthquake-resistant for future disasters to come. On 3rd March we were finally leaving Finland and hitting ground in Nepal. 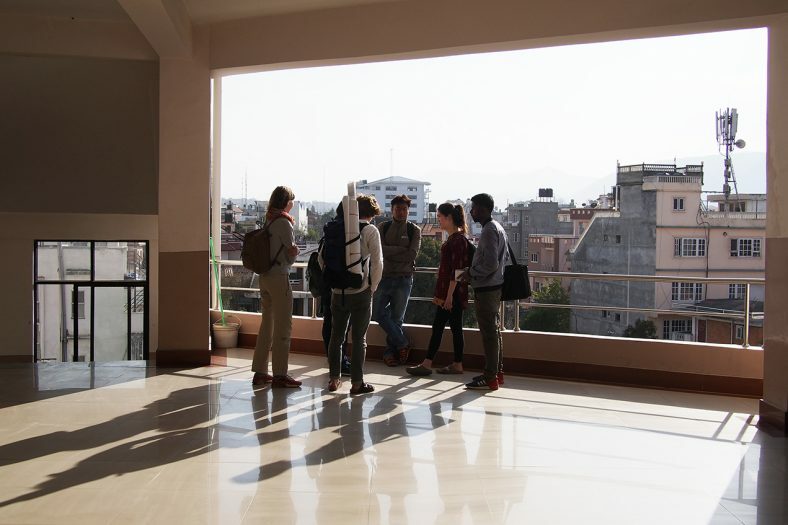 Our plan was to spend two weeks to collect data for our research and create connections to the local organisations and our partner university Asian Institute of Technology and Management (AITM) in Kathmandu. We started our first week with a workshop we organised for the students and professors from AITM. 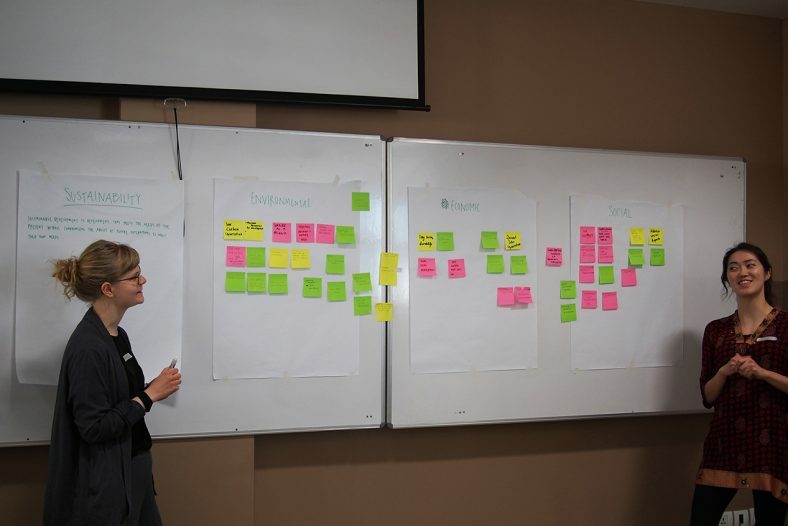 In our workshop we brainstormed around the different aspects of sustainability (social, environmental and financial), discussed challenges and expectations related to our project and did some ice-breaking methods and tasks to learn to know each other better. The workshop was a great success and we connected well with the three students that we were going to spend the rest of the week with. One of my main concerns was that the local students would not really engage with our project, but to my delight I found them taking ownership of it and it became the project of us all, not only a project of Aalto University students. The next day on Tuesday 6th March we took a minibus to Dhungetar village in Nuwakot district, which is around a 4 hour drive from Kathmandu. It was a wild ride in the beautiful hillside landscapes but we arrived safely in the afternoon to our location where Mr. Govinda Joshi from The International Centrefor Integrated Mountain Development (ICIMOD) welcomed us. Immediately after our arrival we were taken to a wedding (actually two weddings in one) that was celebrated in the village and the very same afternoon we were introduced to most of the locals. Soon we learned that March is a wedding month in Nepal, and saw many more during our time there. We spent the following three days in the beautiful village of Dhungetar, learning to know more about the development projects that ICIMOD is working on in the area and talking both to staff members and villagers about the reconstruction and challenges related to it. Dhungetar is a showcase for ICIMOD since they have succeeded in creating better infrastructure in the village, supporting the locals to build earthquake-resistant houses and working on implementing biogas, clean water access, waste management and many other important services to the village. What struck me most was how open and welcoming people were towards us foreigners. Thanks to our three students from AITM we were able to communicate with everyone and do interviews and observations of what was going on in the village. One of the most important aspects of this experience was that we actually had the possibility to live among the community. We stayed in houses where the locals lived, we ate the food they prepared and we shared the washing utilities and toilet with them. It was interesting to see how there were significant differences in social and economic status even in a small village like Dhungetar, with around 100 households all representing the lowest castes of people. 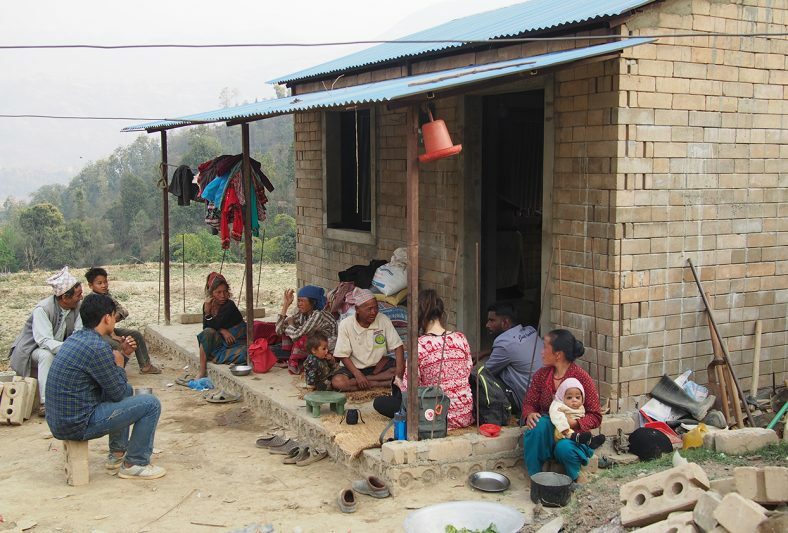 Some people could afford building several houses with their own money while others were completely dependent on the financial support of the government and ICIMOD. At the same time, we learned that through the work that ICIMOD had done, especially the women felt empowered and the mother’s committee in the village had a crucial role in decision making processes and micro-financing. We had the pleasure to attend a mother’s meeting and interviewed most of the women afterwards under a burning sun. We also visited the local school and discussed with the teachers about the level of education in Dhungetar. Every evening our team of five students from Finland, three from Nepal, our mentor and some curious villagers met in the evening to discuss the day that had passed. We checked on how everyone felt and planned the schedule for the following day. After this we usually had our second plate of dal bhat (Nepalese dish of rice, lentil soup, spicy sauce and cauliflowers) for the day that a local family prepared for us. This entry was posted in Aalto Abroad, Aalto experience by Aalto Squad Member. Bookmark the permalink.